This pair of earrings is extremely splashy, vibrant, and fun. 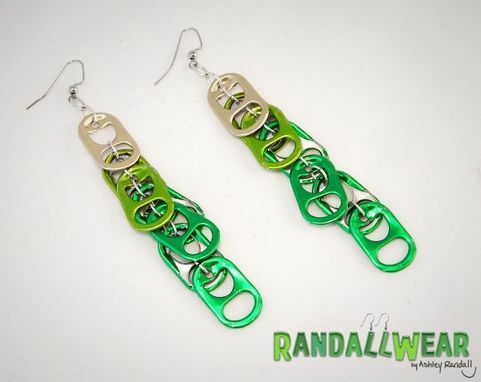 They're made from upcycled soda pop tabs from energy drinks, and they're in fresh, bright yellows and greens. Each earring features seven tabs, arranged in a lovely cascading pattern. 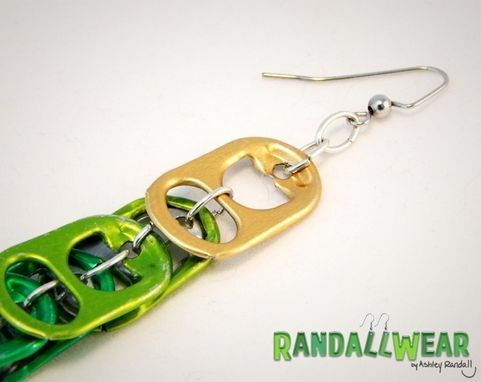 Everything except for the French hook ear wires is upcycled, even including the oval-shaped jump rings, which were harvested from another, older piece of jewelry. 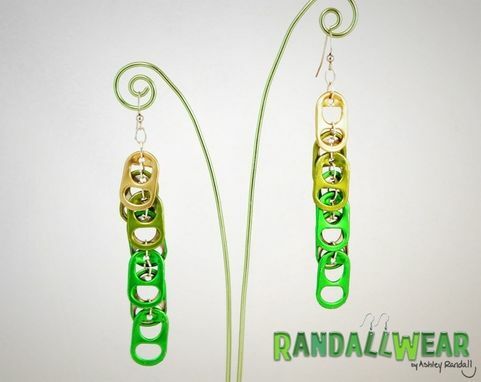 These earrings are made in greens and yellows, and they're medium-long, but I'm happy to go shorter, longer, or different colors. I've used energy drink tabs with logos; the sky's the limit. They're lightweight and easy to wear; since they weigh practically nothing, they're good for all-day wear, but they're edgy enough to wear during the evening.